Herding Dogs: The alert, active, Herding Dogs, also referred to as stock dogs, pastoral breeds and working dogs, are extremely intelligent breeds that have been developed and trained to herd and protect livestock animals and bred for strength and stamina. The primary duty is to help farmers move herds or flocks of livestock such as sheep, goats, cattle and reindeer. The different breeds of herding dogs are trained to react to their owners with a command word like "Stop! ", "Wait!" and "Find" or to the sound of a whistle. There are many different breeds in this group and they employ different methods to control the animals such as stalking and staring, such as the Collie; barking, such as the Maremma sheepdog and nipping at the heels of animals such as the Welsh Corgi and the Australian Cattle Dog. Names List of the Herding Dog Breeds: The names list of the Herding Dog Breeds is as follows: Alsatian, Australian Cattle Dog, Australian Shepherd, Bearded Collie, Beauceron, Belgian Malinois, Belgian Sheepdog, Belgian Tervuren, Berger Picard, Bergamasco, Border Collie, Bouvier des Flandres, Briard, Canaan, Cardigan Welsh Corgi, Catahoula Leopard Dog, Collie, Curly Coated Retriever, Entlebucher Mountain, Finnish Lapphund, German Shepherd Dog, Icelandic Sheepdog, Kelpie, Maremma Sheepdog, Mudi, Norwegian Buhund, Old English Sheepdog, Pembroke Welsh Corgi, Polish Lowland Sheepdog, Puli, Pyrenean Shepherd and the Shetland Sheepdog. Herding Dogs - Australian Cattle Dog: The medium size, energetic, protective, sharp Australian Cattle Dog (AKC:1980) and used as a Watch and Farm Dog. Herding Dogs - Australian Shepherd: The medium size, affectionate, active, protective Australian Shepherd Dog belongs to the Herding Dogs Group (AKC:1991) and used as a Watch and Farm Dog. Herding Dogs - Bearded Collie: The medium size, hardy, lively, clever Bearded Collie (AKC:1976) and used as a Watch and Farm Dog. The Bearded Collie has a low shedding coat. Herding Dogs - Beauceron: The medium to large-size, calm, protective, affectionate Beauceron and used as a Watch dog, Hunting & Herding Dog. The Beauceron makes a good family dog. Herding Dogs - Belgian Malinois: The medium to large size, hard-working, affectionate, protective Belgian Malinois (AKC:1959) and used as a Watch and Farm Dog. The Belgian Malinois makes a good family dog. Herding Dogs - Belgian Shepherd Dog: The large size, hard-working, affable, protective Belgian Shepherd Dog (AKC:1912) and used as a Watch and Farm Dog. 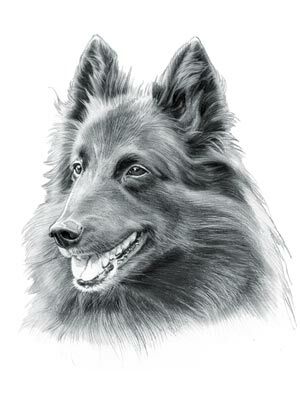 Herding Dogs - Belgian Tervuren: The medium size, attentive, sharp, protective Belgian Tervuren (AKC:1959) and used as a Watch and Farm Dog. Herding Dogs - Berger Picard: The large size, lively, assertive, clever Berger Picard and used as a Watch and Farm Dog. The word 'Berger' is the French word for shepherd and Picardie is the region of France where the Berger Picard originates. Herding Dogs - Bergamasco: The large sized, calm, stable, sharp Bergamasco belongs to the Herding Dogs Group (AKC:2015) and used as a Watch and Farm Dog. The Bergamasco has a low shedding coat. Herding Dogs - Border Collie: The medium size, energetic, responsive, steadfast Border Collie (AKC:1995) and used as a Watch and Farm Dog. The Border Collie makes a good family dog. Herding Dogs - Bouvier Des Flandres: The large size, faithful, sweet-tempered, protective Bouvier Des Flandres and used as a Watch and Farm Dog. The Bouvier Des Flandres has a low shedding coat. Herding Dogs - Briard: The large size, faithful, responsive, protective Briard belongs to the Herding Dogs Group (AKC:1906) and used as a Watch and Farm Dog. Herding Dogs - Canaan Dog: The medium size, devoted, sharp, vigilant Canaan Dog (AKC:1997) and used as a Watch and Farm Dog. Herding Dogs - Cardigan Welsh Corgi: The medium sized, affectionate, sweet-tempered, devoted Cardigan Welsh Corgi belongs to the Herding Dogs Group (AKC:1935) and used as a Watch and Farm Dog. The Cardigan Welsh Corgi makes a good family dog. Herding Dogs - Catahoula Leopard Dog: The large size, energetic, sweet-tempered, inquisitive Catahoula Leopard Dog and used as a Watch dog, Herding and hunting dog. Herding Dogs - Collie: The medium size, energetic, steadfast, faithful Collie (AKC:1995) and used as Watch and Farm Dogs. The Collie makes a good family dog. Herding Dogs - Curly Coated Retriever: The large sized, lively, sensitive, independent Curly Coated Retriever (AKC:1895) and used as a Watch and Farm Dogs. The Curly Coated Retriever has a low shedding coat. Herding Dogs - Entlebucher Mountain Dog: The medium size, nimble, active, devoted Entlebucher Mountain Dog (AKC:2011) and used as a Watch and Farm Dog. Herding Dogs - Finnish Lapphund: The medium size, faithful, courageous, keen Finnish Lapphund and used as a Watch dogs and Herding dogs. Herding Dogs - German Shepherd: The large size, self-assured, curious, faithful German Shepherd belongs to the Herding Dogs Group(AKC:1908) and used as a Watch and Farm Dog. The German Shepherd makes a good family dog. Herding Dogs - Icelandic Sheepdog: The medium size, affectionate, inquisitive, playful Icelandic Sheepdog belongs to the Herding Dogs Groupand used as a Watch dog and Herding dog. Herding Dogs - Kelpie: The medium size, energetic, friendly, loyal Kelpie is used as a Watch dog and Herding dog. The Kelpie makes a good family dog. Herding Dogs - Maremma Sheepdog: The large size, active, determined, courageous Maremma Sheepdog belongs to the Herding Dogs Group and used as a Watch dog and Herding dog. Herding Dogs - Mudi: The medium size, energetic, courageous, alert Mudi belongs to the Herding Dogs Group and used as a Sheepdog. Herding Dogs - Norwegian Buhund: The medium size, energetic, courageous, playful Norwegian Buhund and used as a Watch and Farm Dog. Herding Dogs - Old English Sheepdog: The large size, playful, adaptable, sociable Old English Sheepdog (AKC:1888) and used as a Watch and Farm Dog. The Old English Sheepdog makes a good family dog. Herding Dogs - Pembroke Welsh Corgi: The small size, lively, out-going, affectionate Pembroke Welsh Corgi (AKC:1934) and used as a Watch and Farm Dog. The Pembroke Welsh Corgi has a low shedding coat and make good family dogs. Herding Dogs - Polish Lowland Sheepdog: The medium size, perceptive, lively, even tempered Polish Lowland Sheepdog (AKC:2001) and used as a Watch and Farm Dog. The Polish Lowland Sheepdog has a low shedding coat. Herding Dogs - Puli: The medium size, energetic, faithful, responsive Puli (AKC:1936) and used as a Watch and Farm Dog. Herding Dogs - Pyrenean Shepherd: The medium size, reserved, devoted, sharp Pyrenean Shepherd and used as a Ratter and Farm Dog. Herding Dogs - Shetland Sheepdog: The medium size, playful, affectionate, responsive Shetland Sheepdog belongs to the Herding Dogs Group (AKC:1911) and used as a Farm Dog. The Shetland Sheepdogs make good family dogs. Herding Dogs: Although not classified as part of the Herding Dog Group the following breeds were also used by farmers as livestock herders - Akbash, Bernese Mountain, Blue Lacy, Giant Schnauzer, Great Pyrenees, Greater Swiss Mountain, Hovawart, Komondor, Leonberger and the Newfoundland.